Slopeside Lanes bowling alley is suing Venga Venga, alleging that the cantina and tequila bar's plumbing system has leaked several hundred or more gallons of dirty water, grease and other liquids into its space, damaging the floors and other equipment. Slopeside Lanes bowling alley in Snowmass Village is suing its upstairs neighbor, Venga Venga Cantina and Tequila Bar, because of damage to its lanes and equipment that they say is caused by the restaurant’s faulty plumbing. Under the name “Gutterball LLC,” Slopeside Lanes alleges in a lawsuit filed in Pitkin County District Court that the plumbing system at “Tacos of Snowmass LLC,” or Venga Venga, has leaked “several hundred if not more than 1,000 gallons of dirty water, grease and other liquids” (including sewage water) into its space, damaging the floors and other equipment. 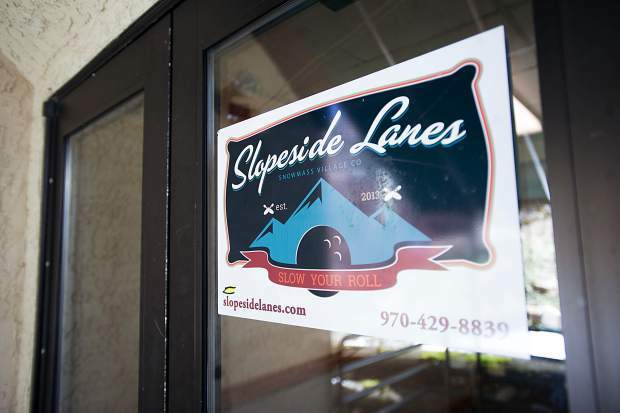 The lawsuit does not state how much Slopeside Lanes is seeking in financial damages, and when reached Thursday bowling alley owner Mark Reece declined to comment on the suit. Since the bowling alley opened in December 2013, the two businesses have been back and forth on the issue, with Venga Venga paying Slopeside Lanes a total $100,000 in damages ($75,000 in 2013 and $25,000 in 2015), according to court documents. In 2013, the bowling alley had to delay its opening for more than two months because of the plumbing issues. The lawsuit states that since 2015, Venga Venga’s plumbing and equipment “has repeatedly sent significant amounts of liquids” not only into the Slopeside space, but also other businesses within the building, including a health clinic. More recently, the plaintiff contends that Venga Venga flooded Slopeside’s premise for six days in December, including over the holiday season, two days in February and again last Sunday. Anderson said the restaurant removed everything from inside the beer cooler “pretty much the next day” and laid down a tarp to prevent seeping. During the fall offseason, Venga Venga completely replaced the flooring and “there was no issue,” he said. Anderson said the restaurant maintains its pipes monthly and its grease trap twice per month. According to the lawsuit, however, the problems continued at Slopeside Lanes as a result of Venga Venga’s kitchen grease trap and other kitchen equipment. The liquids “completely soaked and heavily damaged all of (Slopeside’s) bowling equipment, including pin-setting and scoring equipment … flooded the floor inches deep, ruining materials and goods” as well as drywall ceiling and walls in the rear of the space, the suit states. Reece’s attorney who filed the claim, Alan Feldman, did not return a message seeking comment.